Ahmadu Bello University, ABU First Semester Mid-Semester Break and Resumption Date Notice for 2018/2019 Academic Session. 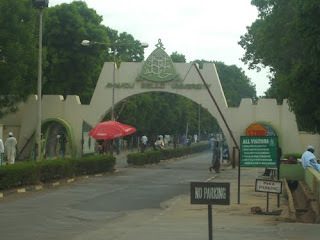 The Authorities of the Ahmadu Bello University, ABU Zaria has announced the mid-semester break for the 2018/2019 session. The entire University Community are by this notice informed that the First Semester 2018/2019 Academic Session Mid-Semester Break commences from Friday 19th April, 2019 - Saturday 27th April, 2019. Normal academic activities will resume on Monday 29th April, 2019. Recommended: ABU Zaria Proposed Academic Calendar Schedule 2018/2019.